Hotel lovers know that when it comes to discovering a destination’s nightlife, hotel bars can be the most happening hot spots in town. Gone are the days of outdated décor and antiquated cocktail menus, top properties pull out all the stops to make their bars the go-to place for a good time and trendy tipples for tourists and locals alike. Here’s just a sip of some of our Canadian faves. Capturing the essence of a 1920s speakeasy, complete with live jazz and dark, sleek décor, this hotel bar is one of Vancouver’s most popular places to see and be seen. 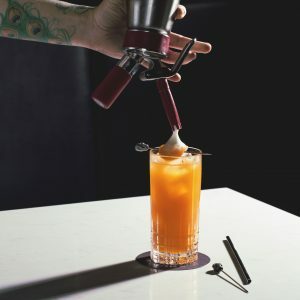 Prohibition has a carefully curated wine, beer and liquor menu, but to truly travel back in time go for the absinthe experience, which comes to you slowly poured over a cube of sugar. 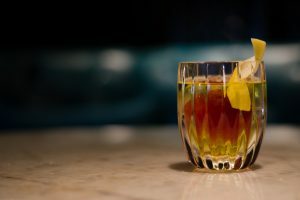 The delightfully quaffable Inception Negroni will normally set you back $30 but now you can test your mixology skills by making it at home. While you may come for Nita Lake Lodge’s picturesque lakeside setting, you’ll stay for the friendly company and tasty drinks. The rustic, wood-forward décor mixes well with the relaxed vibe and spectacular mountain scenery. 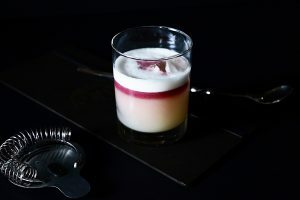 The beverage menu changes seasonally and presently features a selection of whimsically-named libations with a riddle theme (for example, sip on a Preserved cocktail as you mull over: ‘What goes up but never comes down…’). The drinks draw inspiration from local British Columbia spirits and produce, including infusions with herbs from the Lodge’s rooftop garden. The Grill Master is the perfect complement to a summer barbecue (or anytime, really). Combine all ingredients into a shaker and shake. Strain into a highball glass over a large ice cube. Garnish with a dehydrated orange peel. Strain and serve in a pineapple-shaped glass. Garnish with smoked pineapple and blueberries. 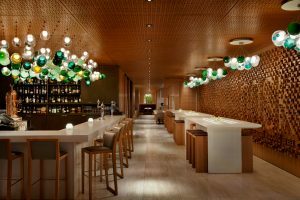 It’s no surprise that one of Saskatchewan’s most luxurious and elegant hotels can also lay claim to one of the country’s most bespoke bars. Evenings are kicked-off by the 5 o’clock Bar Ritual when the bartender makes a toast to the long past (thank God) days of prohibition. Then sink into a lush high-back velvet chair as you divide your time between sampling the hotel’s unique take on classic cocktails as well as inventive new creations. 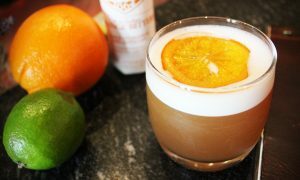 Drink in the property’s essence by sipping on its eponymous Hotel Sask cocktail. As famous for its celebrity clientele as for its posh interiors, the hotel can also boast one of the best bars in the country. The chic lounge is the “it” spot for after-work aperitifs, a pre-theater drink or hanging with the cool crowd until final call. The stylish yet playful setting comes with a business-casual dress code. The bar is especially well-known for its high-end wines and focus on seasonal cocktails. The silky-smooth beverage below perfectly mirrors the bar’s classic, sophisticated ethos. Combine all ingredients in a shaker. Dry shake (no ice) vigorously. Add ice. Gently roll cocktail in shaker. Strain. Garnish with dehydrated lemon circle. Words like hip, unique and electrifying don’t quite capture the always-buzzing Nacarat, which embodies the essence of the glam-rock era of Ziggy Stardust in a contemporary setting. It truly is a one-of-a-kind place to wet your whistle and listen to some of the industry’s best DJs weave some musical magic as mixologists do likewise with liquor. 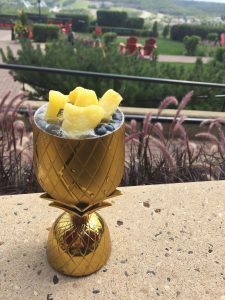 This summer, every Thursday to Saturday on the hotel’s third floor terrace, the bar mixes up some special summer cocktails with food from the grill. If you’re not in Montreal, though, you can at least enjoy Nacarat’s signature cocktail, Mister White. In a tall glass, pour all the ingredients and stir together. For an additional touch of magic, add vanilla mousse on top (caramelized with a kitchen torch).